Students who are interested in the BS/MS HCC program should discuss their interest with a department advisor as early as the sophomore year. A student should request acceptance into the program in the first semester of the junior year. This will be the semester following the one in which 60 credits have been earned toward the BS degree. Acceptance into the combined program neither obligates the student to complete the program beyond the BS degree, nor does it obligate the Department or Graduate School to admit the student into the graduate program, when applying formally to the Graduate School. If the Graduate School finds reason to reject a student’s application, that decision is binding, even though the student may have been accepted into the combined degree program by the IS Department. Once admitted to the combined program, the student must maintain a 3.0 or higher grade point average. No more than two “C” grades may be received in all courses taken after admission. If the GPA falls below 3.0 or if more than two “C” grades are received, the student will be removed from the combined program. This does not affect the student’s eligibility for the BS degree under normal University undergraduate requirements. Any one “D” or “F” also results in removal from the combined program. 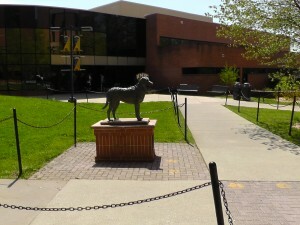 Students in the combined program must formally apply for admission to the Graduate School before the UMBC Graduate School’s application deadline during the semester in which the course work for the BS is completed. No more than 9 credits of graduate courses may be taken while the student is paying undergraduate tuition. Students should fill out the paper application form to the graduate school. The application fee is waived for students in the combined IS BS/HCC MS program.